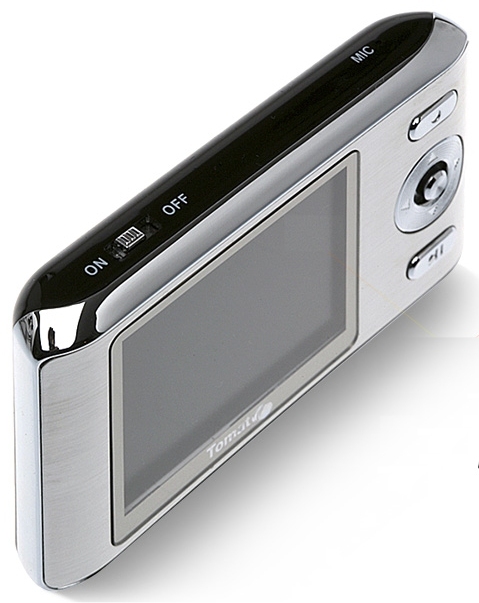 This little digital media player from a Korean company called Tomato has an interesting camera-like look to it with a brushed metal case, shiny buttons, a two inch view screen and a retro on/off switch. The other side of the U20 from Tomato has no lens, but this media player does support the playback of MP3, MP4, WMV and ASF file formats. The video and JPEG photos can be viewed with the two inch 260,000 color TFT LCD screen with a 4:3 aspect ratio. 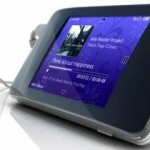 The U20 also has a built in speaker and microphone as well as an FM tuner to pick up your favorite radio stations, which implies that the gadget can direct record voice along with the radio, most likely to MP3 format. Capacities come in 1GB, 2GB and 4GB, which all are a little small for an significant number of video files. Luckily the Tomato media player has a MiniSD card slot to beef up the storage and a USB interface for transferring files. Pricing for the U20 were not available, but you can check out the product page, via dapreview.